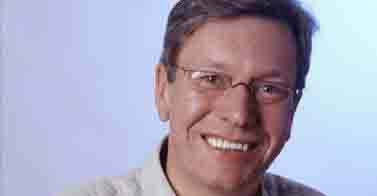 Rolf Kalb was born 29. September 1959 in Doveren and is a sports journalist and commentator for Eurosport. Kalb began his journalist career with the "Rheinische Post" before he started to study informatics and mathematics. He was for many years the press officer for the "Deutsche Billiard Union" and works free lance as a film - and nonfiction book author (predominantly snooker). On Eurosport he is responsible for rowing, billiard, snooker, dancing, Taekwondo, Darts and Bowling.